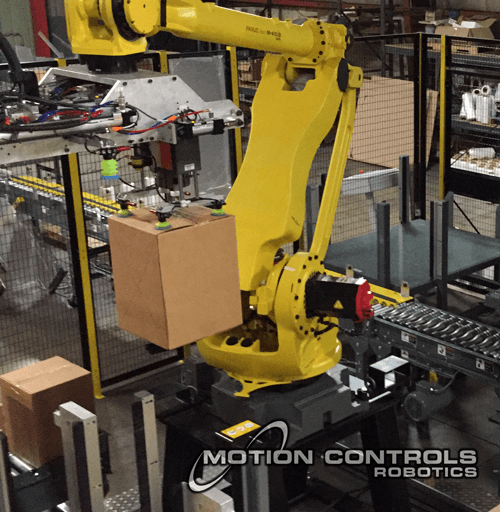 End of Line Packaging Cell for Rolled Roofing Materials by Motion Controls Robotics, Inc. – These two FANUC R2000 robots were integrated into this end of line packaging cell by Motion Controls Robotics. 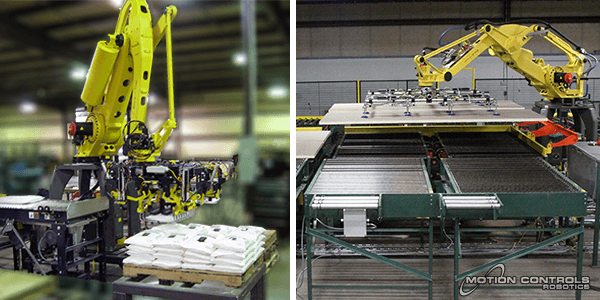 The two robots work together to remove variable width rolled construction industry product from a winder takeoff unit with roll core in the horizontal position, then stack the rolled product on a shipping pallet with the roll core in the vertical position. 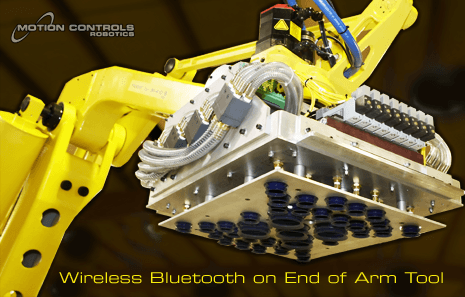 The robot on the left lines up its expandable end of arm tool with the end of the mandrel on the winder takeoff unit. 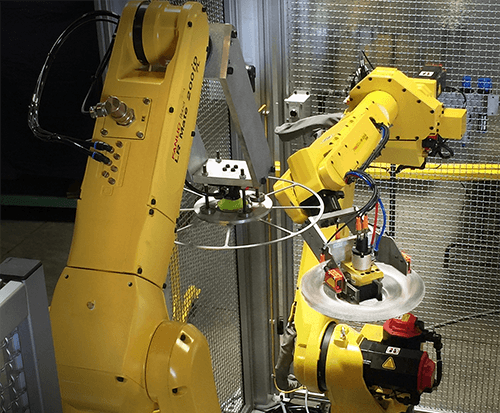 The robot on the right is equipped with three different end of arm tools; one of the tools is a pusher, to move the rolls on the mandrels toward the first robot until a roll is transferred. The second tool is used to move a slip sheet from the slip sheet rack to the empty pallet, and to move a slip sheet over the top of each finished layer of rolls on the pallet. 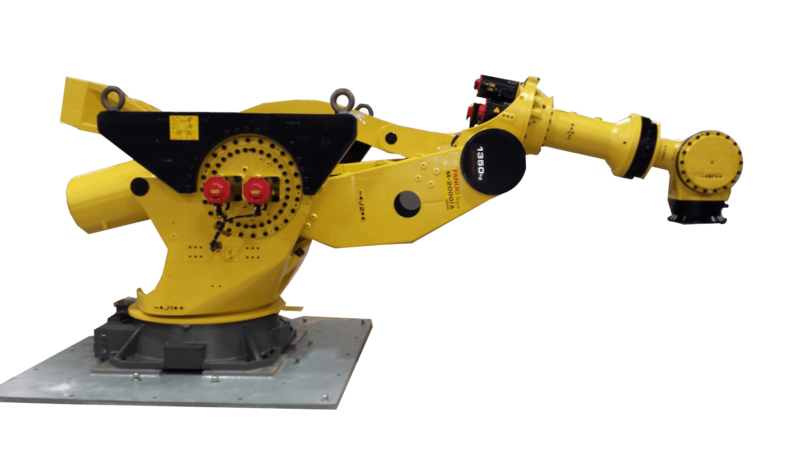 The third tool picks an empty pallet from the empty pallet in-feed conveyor and places it at the robotic palletizing position. Finished pallet loads are transferred by three strand chain conveyor and roller conveyor to an automatic stretchwrapping station before the product is shipped from the plant. 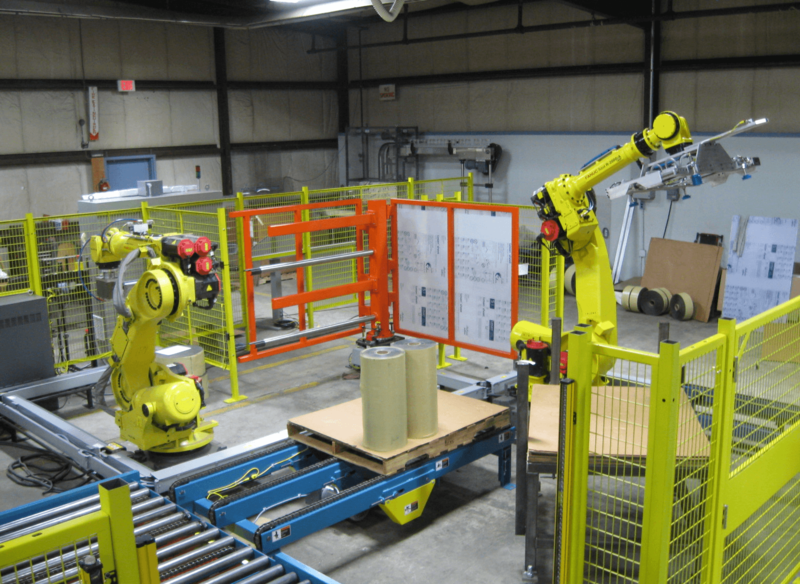 The rotating winder take-off roll staging tower, empty pallet dispenser, and slip sheet rack were manufactured by Motion Controls Robotics as well. 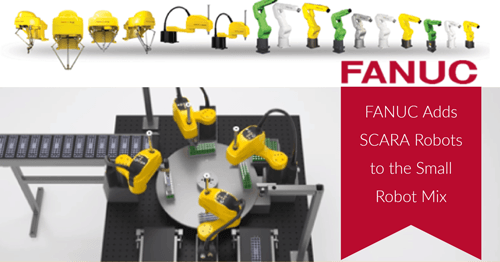 Contact an Applications Engineer at Motion Controls Robotics, Inc. at 419.334.5886 for additional information on this system and other advanced robotic work cells featuring FANUC robots. 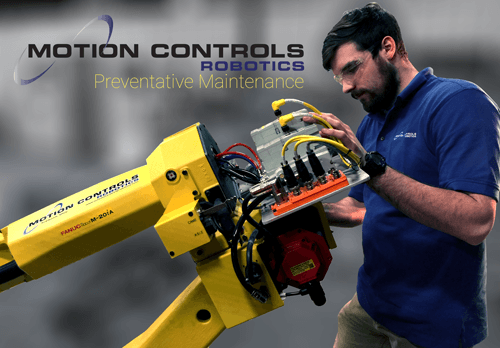 Motion Controls provides some insight on faulty recovery and robotic solutions. 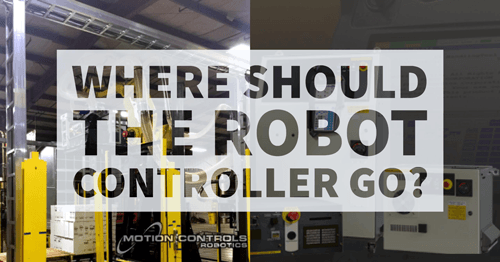 Unraveling Degrees of Freedom and Robot Axis: What does it mean to have a multiple axis pick and place or multiple axis robot?